Wedding is one of the most meaningful moments in a woman's life. When it comes to choosing the perfect wedding outfit, many of us do look up to our favourite actress for some inspiration. In an attempt to inspire some bride to be, Astro Ulagam presents the real-life bridal look of some Indian beauties. In her September 2006 wedding to actor Suriya, Jyothika looked like an eternal beauty in a light pink Kanjeevaram saree with zari weaving. She completed her look with diamond studded jewellery. 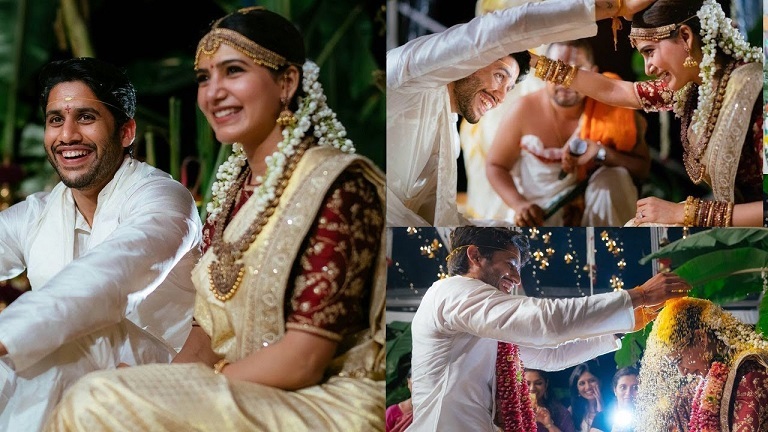 Nothing beats Samantha's dreamy wedding with actor Naga Chaithanya. Entire Kollywood was excited for the wedding and her wedding looks were fashion goals. 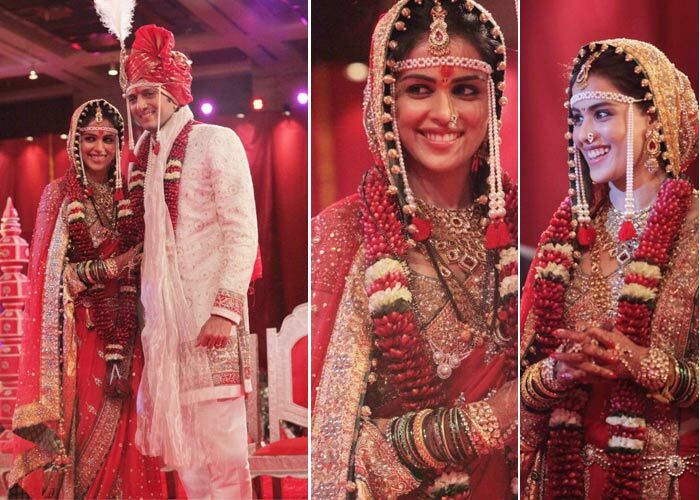 For her Maharashtrian wedding, Genelia wore a bridal saree with a gold kundan border. With almost no makeup, she finished her wedding look with heavy bridal jewellery and a pearl chain on her forehead. This made her look no less than a Marathi bride! Like Jyothika, Sneha also opted for a Kanjeevaram saree for her wedding. Doesn’t she looks gorgeous in this green and gold ensemble? Earlier in 2016, Asin tied the knot to Indian billionaire Rahul Sharma. 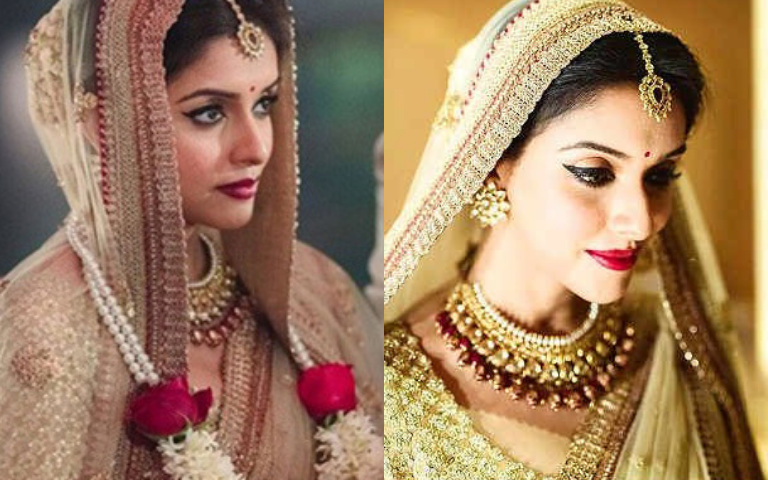 In her fairy tale wedding, Asin wore a golden Sabyasachi lehenga whereas her husband wore a white sherwani. Actress Bhavana choose full gold, from saree to jewellery! Many were stunned with her unique look and she looked ethereal on her wedding day. 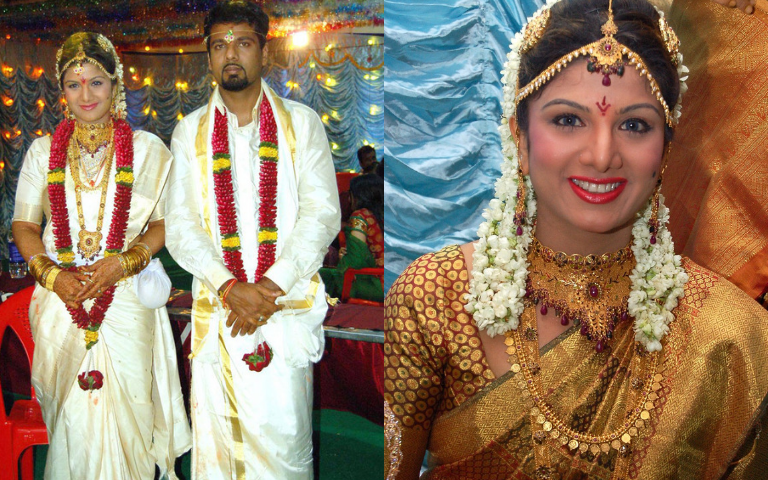 It was an all-white kanjeevaram sari with lots of gold for Rambha when married Canadian businessman, Indiran! 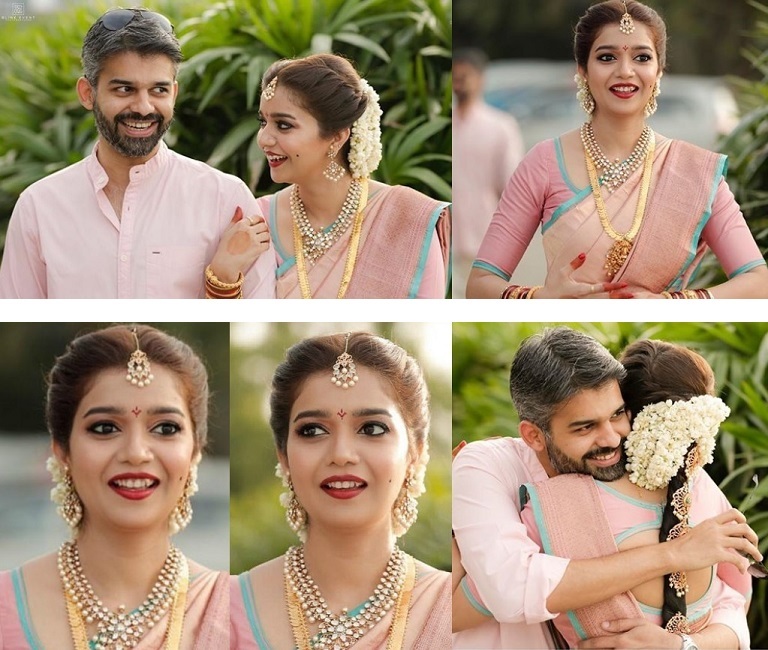 After donning cute belle roles in some notable Tamil films, actress Swathi Reddy married the love of her life. She looked stunning with a simple pastel pink saree with beautiful diamond, pearl and gold jewellery. We were in love with this look! Which of the wedding look above is your favourite? Share it with us!